Prolong the life of your roof and drainage systems through proper gutter cleaning from Swick Painting, LLC. in Peabody, Massachusetts. 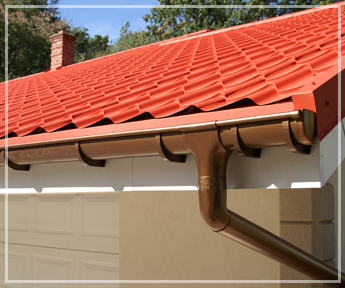 Our professionals make sure those hard-to-get gutter buildups are no longer a problem for you. In addition, we offer power washing services to give the rest of your home a thorough cleaning. We offer these exterior cleaning services year-round. However, we recommend extensive cleaning during fall season in preparation for the winter months. Besides cleaning your gutter, Swick Painting, LLC. utilizes power washers typically to prep your property's walls and surfaces for painting. If handled correctly, this cleaning technique could also be an effective method to clear dirt and stains that have settled on your home's sidings and decks. Additionally, it could be a better option and a much lesser work to do rather than scrubbing. With a wealth of experience using state-of-the-art pressure washing units, we are sure to deliver an unmatched cleaning service that will surely go beyond your needs and expectations. To avoid property damage, we control water pressure and make sure we apply just the right amount of force, depending on the type of materials to be cleaned. For further details about our services, please do not hesitate to contact us.